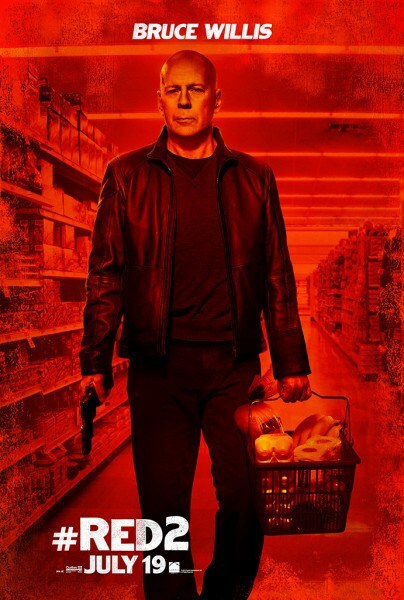 I don’t normally rush right out to see movies on opening weekend, but the original Red movie was such a pleasant surprise that Red 2 seemed like it would be a fun summer diversion. And it was. They’ve expanded the cast. It seemed like every time the scene changed, there was another old buddy or villain introduced, but the film doesn’t feel overstuffed. 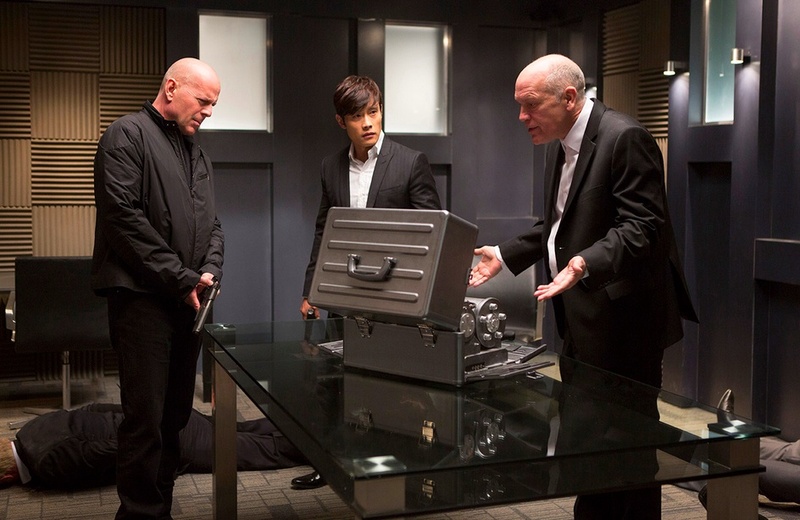 Bruce Willis is back as Frank, former CIA agent who’s Retired and Extremely Dangerous. Also returning is his girlfriend Sarah (Mary-Louise Parker) and buddy Marvin (John Malkovich). 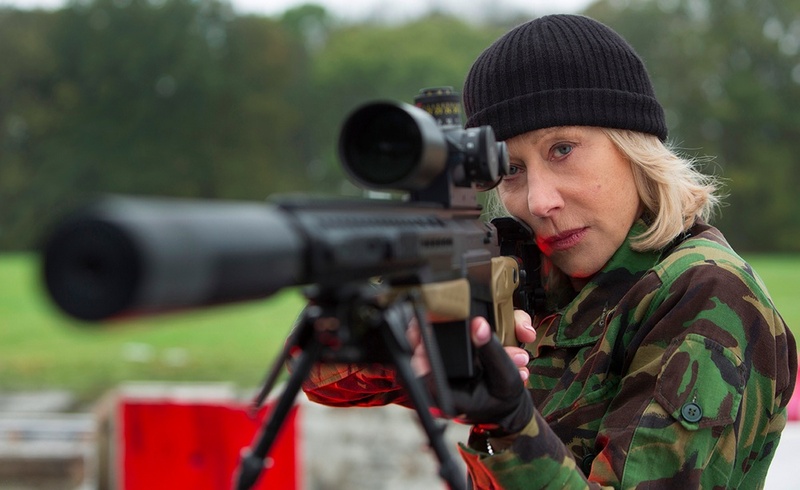 Of course, the scene-stealer is Helen Mirren’s extremely talented sniper Victoria. 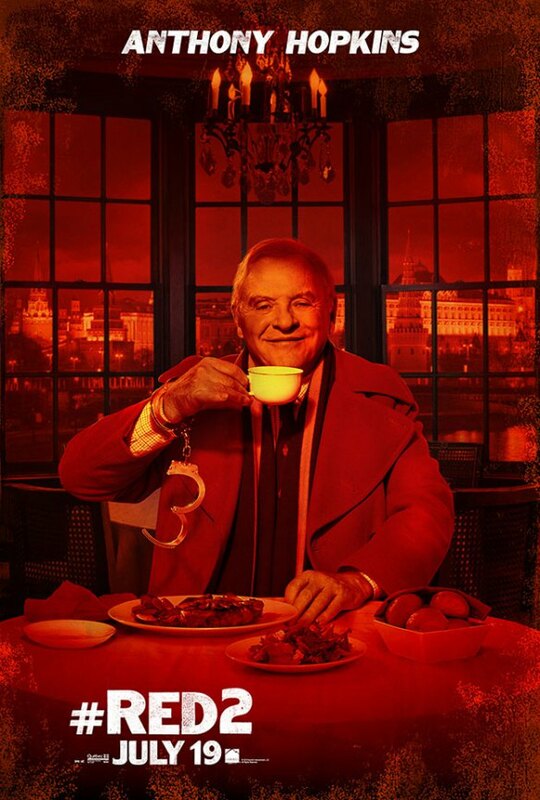 New this go-round are Catherine Zeta-Jones as Katja, Russian agent with history with Frank; David Thewlis as the Frog, another spy in France; the well-built Byung Hun Lee as Han, a talented Korean mercenary (who handles a number of the most challenging fight scenes); and Anthony Hopkins as the daffy Dr. Bailey. As you might guess from that description, where the previous film traveled around the US, this one globe-trots internationally, with stops in Paris, London, and Moscow. The threat is bigger than before. 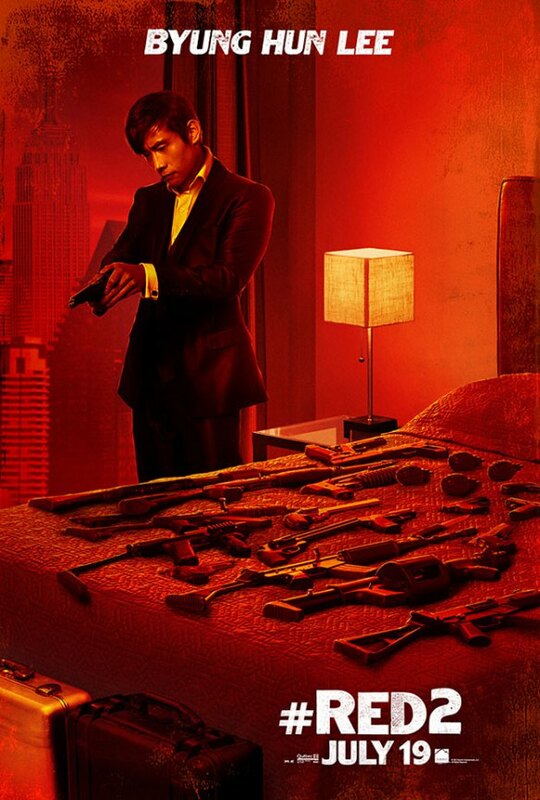 Just like last time, someone’s trying to kill Frank because of a mission he was part of back in the day — but this time, driving the assassination attempts is a rogue nuclear weapon, code-named Nightshade, not a checkered political history. Also, as a subtle backstory, Frank’s being overprotective of Sarah. He loves her so much he won’t let anything happen to her, but she misses the excitement that brought them together. Note that there are huge numbers of bullets flying, and a large number of no-name deaths (guards, agents, soldiers, etc.). Now that this is a franchise, no one we care about gets hurt, though, even when surviving thousands of bullets aimed their way. (Unless there’s a joke that can be made of it.) However, I did find myself wondering why no one with a big gun ever thinks to shoot at floor level. There are several scenes where people survive machine-gunnings and the like simply by duck-and-covering. Wouldn’t you think to aim lower than three feet above the ground in such cases? As I said above, we enjoyed seeing it, so much that we came home and popped the first movie in the player. This sequel stands up well compared to the original, and I plan on buying it on home video when I can. Also, Victoria has the best-ever fur coat.